If your looking for a fun new way to do pizza then you’ll love this cast iron mini pizza! 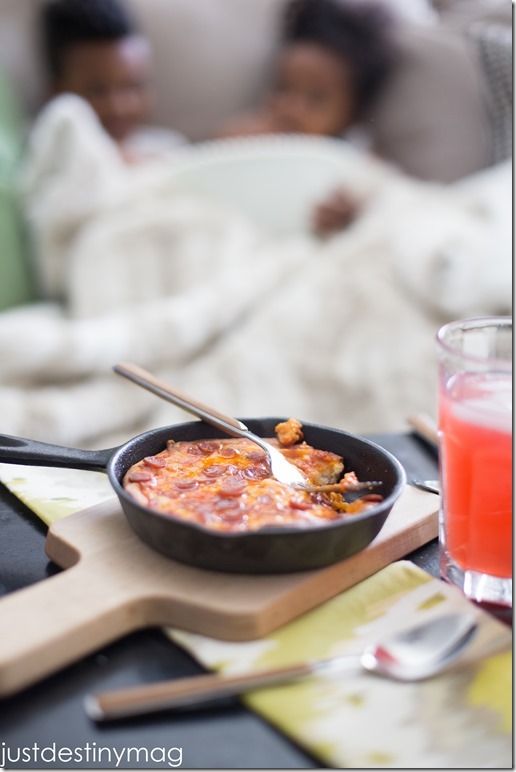 All you need is a few ingredients to recreate this yummy treat. It can be an entrée coupled with a fresh salad or apart of your snack lineup at your next movie night! I love the crispy edges the cast iron gives the pizza. We love to butter our edges to make it even more delicious. 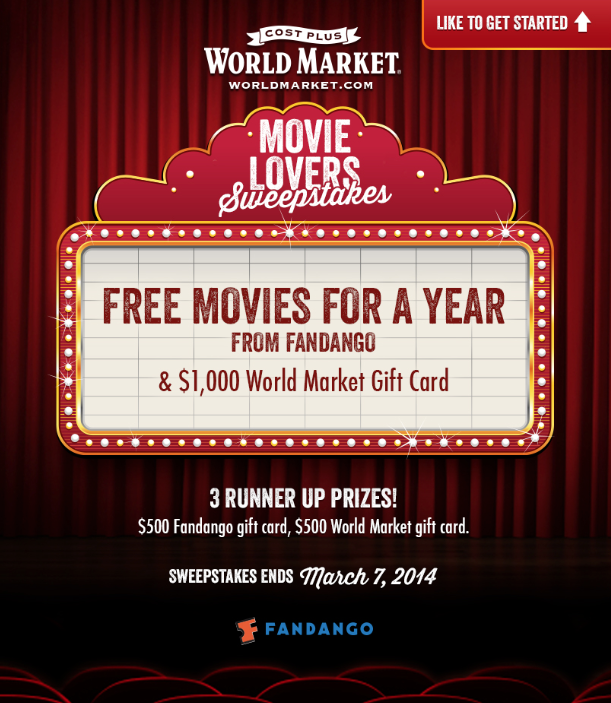 This month World Market is giving away and few amazing prizes for movie lovers like you!!! We love to keep things pretty causal around here. Not everything needs to be a big production. But sometimes we like to mix things up! By using World Market’s adorable mini cast iron skillets and a few easy ingredients like this yummy pasta sauce you will have all the confidence in the world! 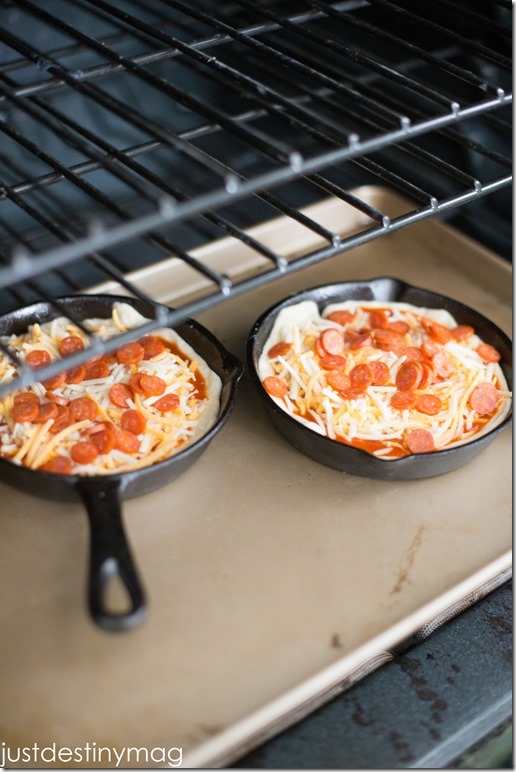 I promise your little ones will gobble it and and not to mention eating food out of a skillet, while watching a movie? Coolest mom ever. Here’s the recipe so you can try it yourself!!! A delicious snack or dinner idea! 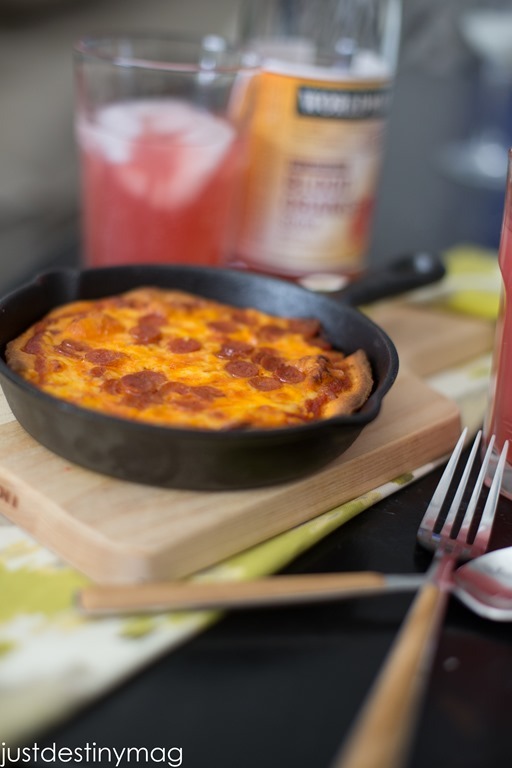 The cast iron gives you a deep dish taste with crispy edges. Open the can of pizza crust and cut it into four equal parts. 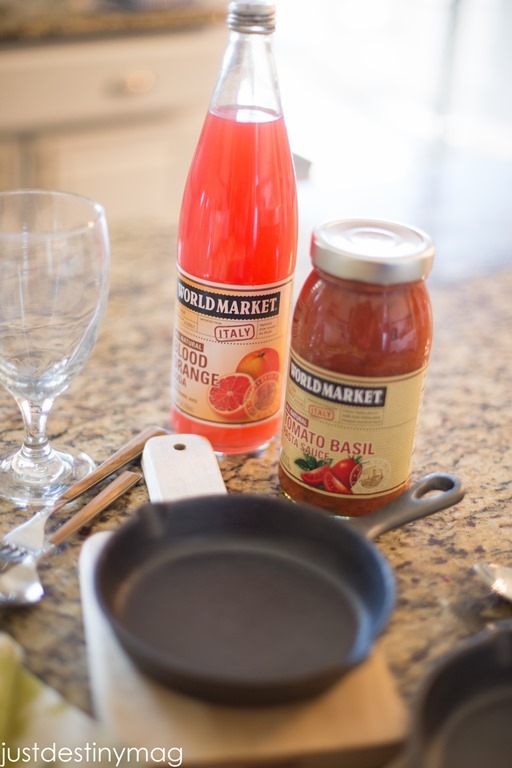 Line 4 mini cast iron pans with butter or oil. Then place each crust into the pans and spread it our until the bottoms and sides are fully covered. 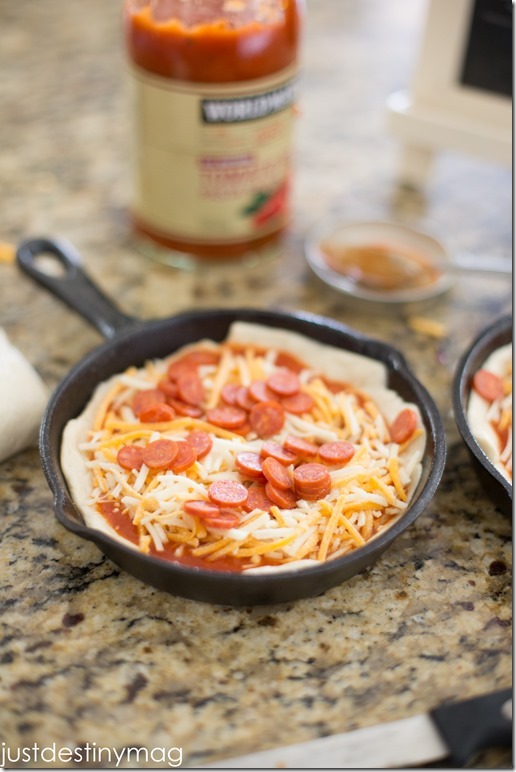 Next spoon in 1/4 of pizza sauce into each pan and spread out evenly. Then top it with 1/4 cup of cheese and toppings. Bake in the oven at 400 degrees for 15-20 minutes. Let cool and serve with pot holders. 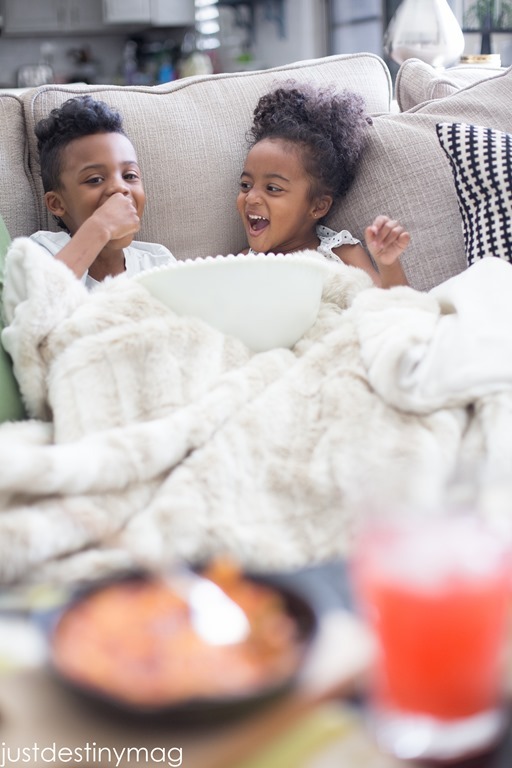 So sit back and relax with a yummy pizza and enter to win FREE MOVIES for a year! I think my hubby would DIE if he won this. Good Luck Friends! 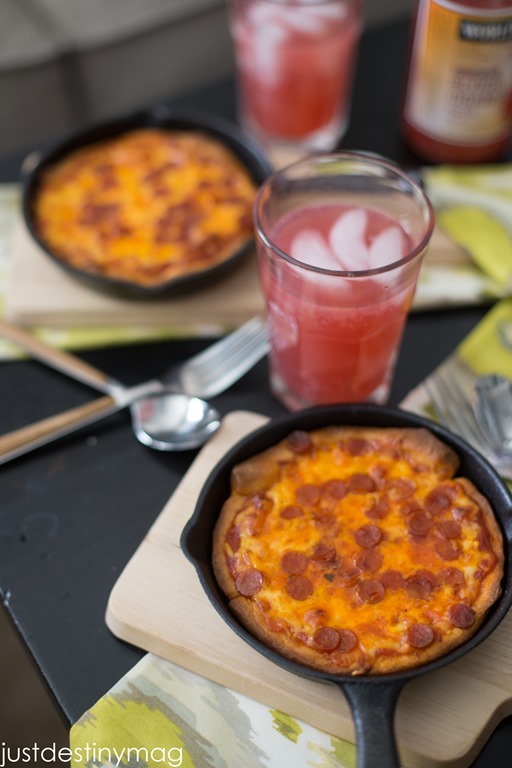 Love the idea of making individual pizzas in a skillet!